YOUR NEW BILL PAY FEATURE IS ACTIVATED IN QUICKBOOKS! Please read this entire document – this feature is nice but you will find that QuickBooks technical support people do not know much about the bill pay app, and the bill pay app people know nothing about the software. The bill pay app from “intuit” is not actually supported by Intuit. Reading this first will help you prevent problems. First: Set up vendors properly to allow important information to flow out of QuickBooks and into the bill pay check cutting service. There are several REQUIRED fields in the vendor profile, show below. Enter vendor bills into QuickBooks as they are received just as you normally would. Ensure the vendor profile has everything you need for bill pay – see red arrows below. Click “Edit Vendor” from the Vendor center. 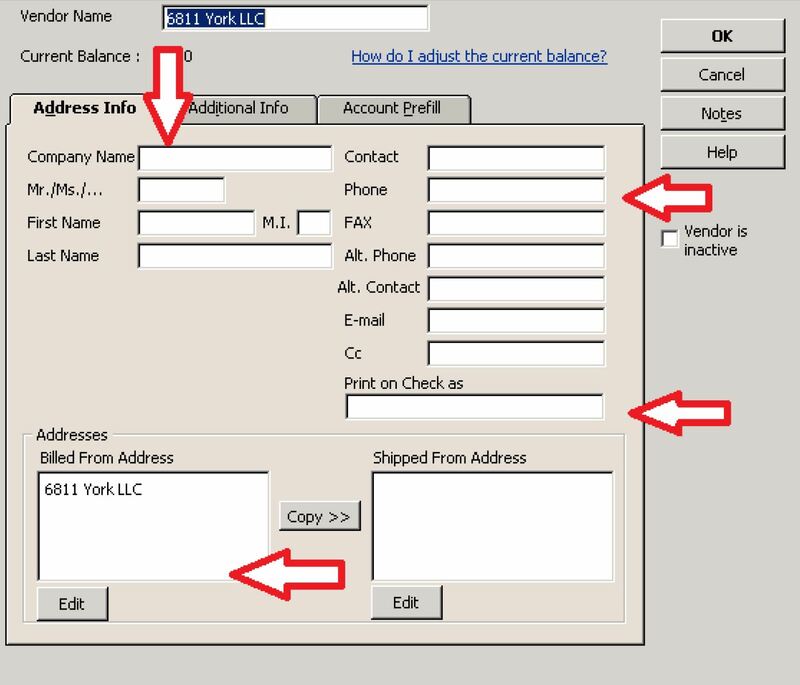 In the “Address Info” tab, you MUST have Company Name, Phone and Address filled out; and “print on check as” should contain a vendor name if it’s something different. The vendor name is limited to no more than 30 characters and should not contain “special” characters like “& , %” This will cause an unglorious crash. there is one more required piece of information – the account number you have with the vendor. This cannot be blank and must not contain special characters “& , “ etc. Otherwise this will cause QuickBooks to crash. Next, click the Additional Info Tab shown below. You MUST have an account number filled in (this is the number the vendor assigns to your account, for example a Verizon account number or a Comcast account number). This will print on your check to ensure proper credit to your account. If you don’t have one, enter your name or something so that vendors will recognize your payment. It is also highly recommended (but not necessary for bill pay) that you enter the vendors Tax ID. 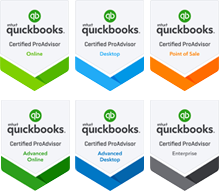 This greatly reduces effort required for end of the year 1099 printing and E-filing directly out of QuickBooks!